Personal Training is a service that is growing in popularity and for many reasons. First off, personal training is a great way to stay on a regular fitness schedule, which means you will see true results. Secondly, hiring a personal trainer ensures that you are maximizing your time and effort. How many times have you gone to the gym with great intentions and make it two days one week, one day the next, three times the following week, only to see results that may not come? For these reasons, a personal trainer can see to it that you are consistent, safe, and can get you where you need to. While hiring a personal trainer is easy, it is not so easy to find one who is credible, affordable, and worth your time. Listed below is some information on trainer salaries that can help in your decision of hiring a trainer. Private Training. Trainer salaries vary depending on the organization, but many trainers make around $15 per hour or session. Many private trainers pay a fee to workout at a gym or facility, which is common practice, but in order to keep costs at a minimum so that clients continue to come, the net pay of $15 per hour is around $31,000 per year, assuming the trainer gets 40 hours per week, or the equivalency in training hours. Some trainers offer other packages including $300 per month for unlimited training sessions and a small sign-on fee. Also, many of these offers come with a minimum package such as purchasing training sessions for a minimum of 90 days. Why 90 days? This is to ensure that the client gets the services they seek and 90 days is plenty time for them to see results. Health Clubs. Some trainers prefer to take their experience to a health club because of the offered amenities. While health clubs offer a resort-style of environment, these trainers typically make around the same as a private trainer. The average pay in the U.S. for a health club personal trainer is around $32,000 per year, which might not even include trainer’s liability insurance and other necessities for the job. 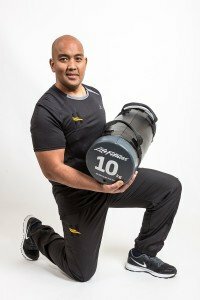 Health clubs are known for being great options for losing weight and staying healthy, but the thing to be aware of is that these trainers make less than 50 percent of the training cost of the purchased package, which means your expensive training package you purchased is going more towards the facility you are staying in than the individual offering you quality services. In-Home Personal Training. Healthcare has ventured to the home setting to provide care and personal training has made this leap as well. In-home training is great for busy moms, dads, or someone who does not want to sit in traffic. Hiring an in-home personal trainer can vary depending on who you hire, but most prices will be around the same as you would get from in-gym training. If your trainer is from a gym and ventures to your home, you can expect to pay this same price or very close to it. If you hire an independent trainer to arrive to your home for training, you can expect the prices to vary depending on your location. It is reasonable to expect some trainers to charge $40 per session, but will only do this is you purchase a hefty training package. Otherwise, trainers get anywhere from $50-100 for in-home training. The great thing is that it creates comfort for the client at home and the trainer generally gets a hefty chunk of this price if he or she is independent. It really is a great situation for both and a win-win. If hired from a gym to come to your home, the gym-affiliated trainer will get the same pay as usual, but might also get compensated for gas and time driving. Gym Trainers. Gyms are hiring trainers to provide quality services for clients so that they can meet goals and be safe. There has been a huge push in the U.S. for trainers to hold at least a Bachelor of Science degree and many of which are shifting in this direction. Not only does this mean your trainer knows a thing or two, but it also means the gym can charge slightly more because of this knowledge. Trainers working in gyms can expect to make more than some average trainer, but the overall average is around $38,000 personal trainer salary annually. Some trainers maximize their time by taking on clients in an in-home setting during off-peak hours to make some more money and many trainers actually work a split shift schedule, which means many individuals work upwards of 12 hours per day. It is a great idea to understand the different pay in salaries for trainers because many might not be getting compensated correctly and some may be making way too much for what they offer. Having this knowledge can lead you to an informed decision on which trainer to hire. Look for experience, credentials, and education when making a decision. Some trainers cost a little more than others and this might be a better route than going on the cheaper route depending on your needs. If you only need someone to make sure you show up and you need very little guidance then consider a cheaper option.